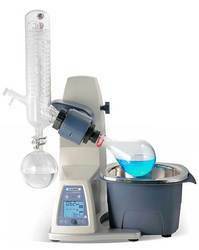 With a firm commitment to quality, we are involved in offering a wide ambit of Rotary Evaporator. 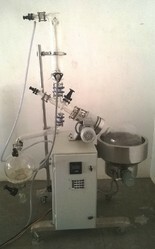 Our company is one of the best manufacturer as well as supplier of industrial rotary evaporator. Our wide range of products including Industrial Rotary Evaporator is highly admired among valuable clients. It is available at reasonable market price. We are one of the best manufacturer as well as supplier of industrial rotary evaporators. We are one of the leading manufacturer of industrial rotary evaporator. Our company is one of the best supplier of industrial rotary evaporator. Our company is one of the best manufacturer of Industry rotary evaporator. With the Hei-VAP Industrial series you are always on the safe side with the safety enclosure protecting you and your glassware! You can operate the Hei-VAP Industrial just by yourself, change flasks in seconds and operate the unit with ease.